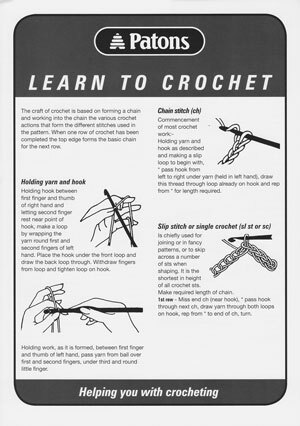 Learn the basics about the craft of crochet in this 4-page black & white print leaflet from Patons. The leaflet gives you an overview of all the basic stitches and how to work them. Product added to our range on 27th October, 2015.